This is a recipe that you make on top of the stove. No baking. No making sauces. 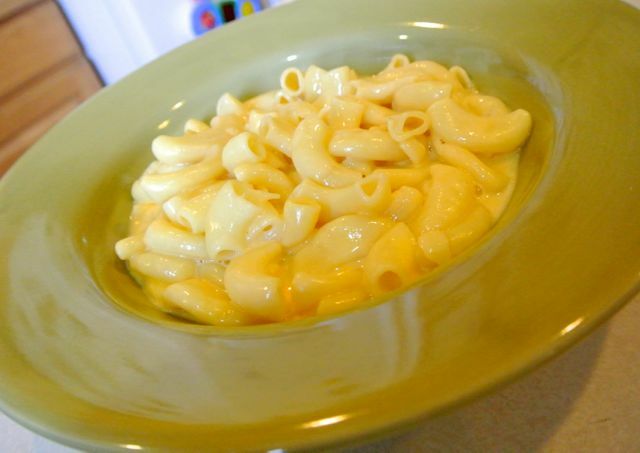 I like making it with large elbow macaroni, but not every store carries it & it can be hard to find sometimes. Regular macaroni works, but I prefer to substitute with ziti or medium shells if I can’t find large elbows. For the cheese, I usually use a mix of half American & half mild cheddar. Tonight, I didn’t have any cheddar, so I used half American & half colby jack. If you use sharp cheddar, I would recommend using less cheese, maybe 3 or 3 1/2 cups. Bring water & salt to a boil. Add macaroni & cook over medium heat until almost all the water is absorbed. DO NOT DRAIN! The starch in the water acts the thickener. Stir in butter, milk, & cheese until melted. Allow to sit for about 10-15 minutes before serving to thicken. Add salt if needed.